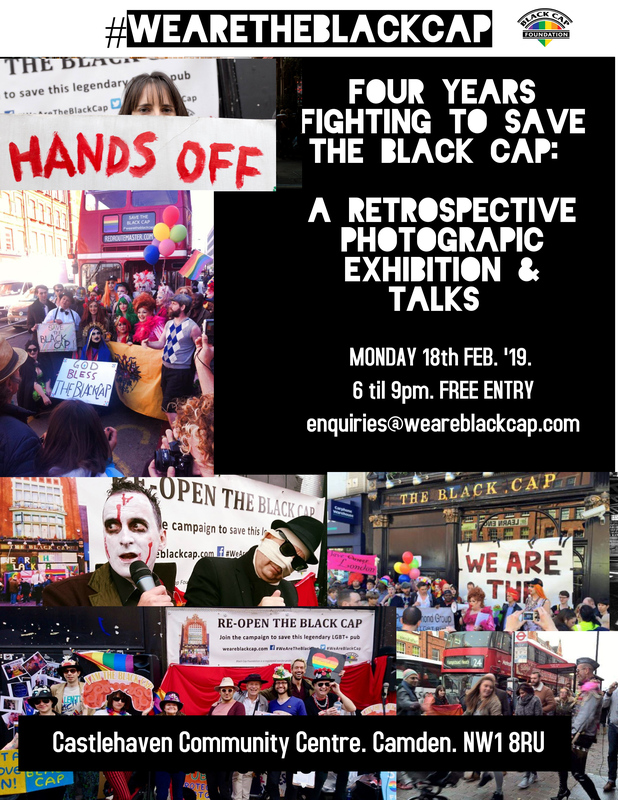 #WeAreTheBlackCap have spent the last four years passionately fighting to save the famous Camden LGBT venue: The Black Cap. They have documented their activism with photography, which the group will proudly display at this exhibition. For more information please email enquries@weareblackcap.com.